During our Disney Fantasy cruise last week, I was lucky enough to have found yet another Mattel 1:55 scale Cars "Super Chase"...the Circus Sedan! This was an unexpected and thrilling find for me. I definitely didn't board the ship in hopes to find any new cars (especially one so rare), but hey; what do you know. Found this one in one of the ship's main gift shops (called Mickey's Mainsail)! What is a "Super Chase" you might ask? Well, it basically just means an ultra rare release (no more than 4,000 units are produced). They are extremely difficult to spot in stores; in fact, this is only the sixth super chase I've ever found in the "wild" (the rest I had to resort to eBay for). 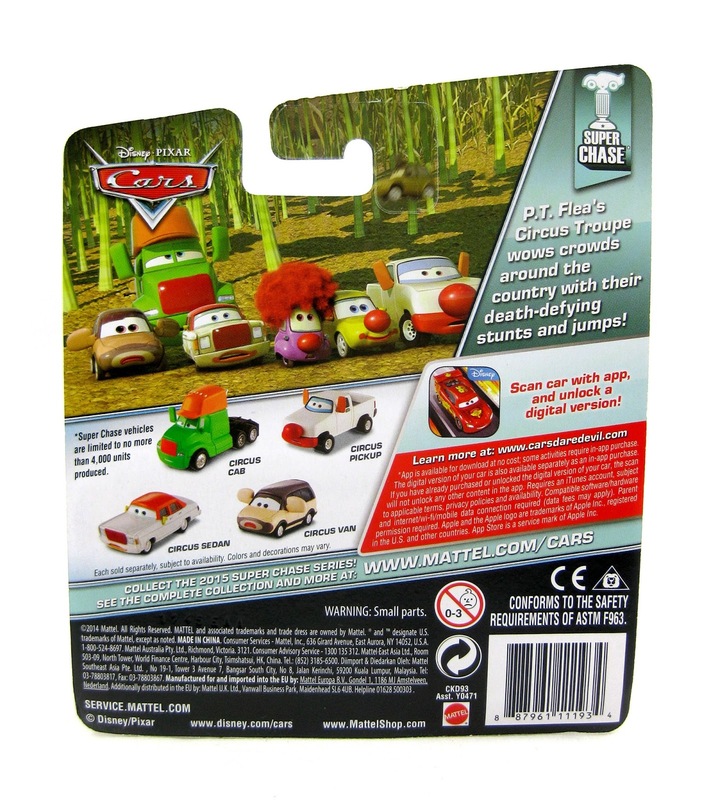 As seen on the back of the package, the other remaining "circus cars" are also available as super chases: Circus Cab, Circus Van, Circus Forklift & Circus GT, and Circus Pickup. 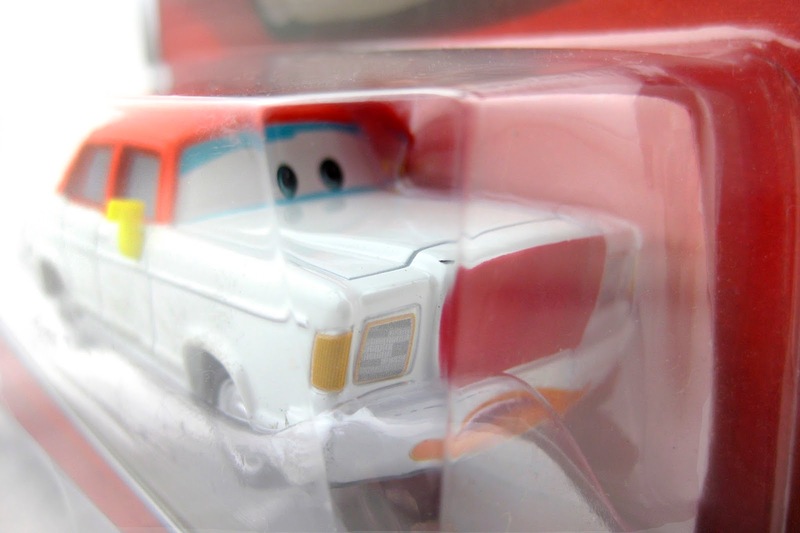 I'm so happy they ended up making all six of these guys since we officially now have every character represented from that entire Drive-In scene! Now all I need is to find is the Circus Pickup to complete my collection. 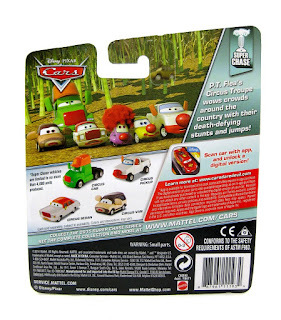 So far I've been lucky enough to find almost all the circus cars in stores- lets hope that sticks with me as I search for the last one. 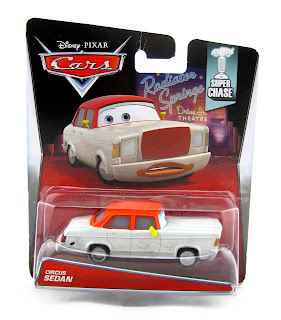 This is such an awesome and unique car and I'm so glad it's finally released after years of being rumored! It's just too bad it's so hard to find. If you're having trouble tracking this one down in stores, eBay or Amazon might be your best bet.